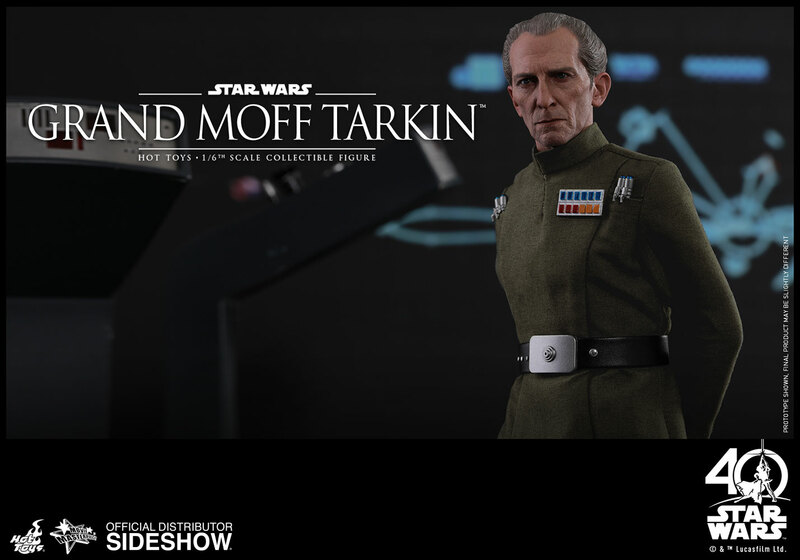 An ambitious, ruthless proponent of military power, Wilhuff Tarkin became a favorite of Supreme Chancellor Palpatine and rose rapidly through the Imperial ranks. 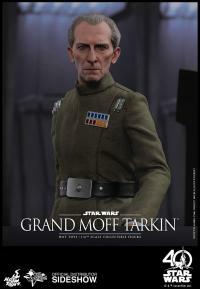 Tarkin saw the Death Star as a way to crush all dissent to the Empire's rule with the fear of the station's planet-killing superlaser and made a terrifying demonstration of the station’s power by destroying Alderaan in front of Princess Leia’s eyes. 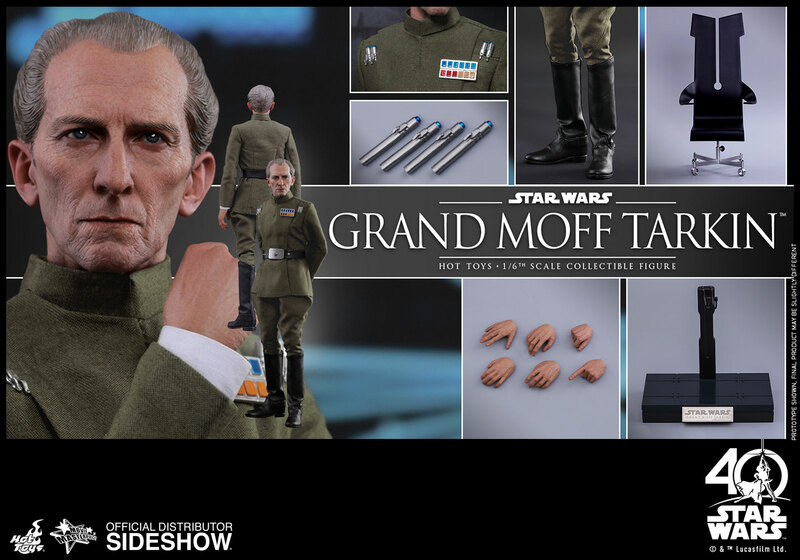 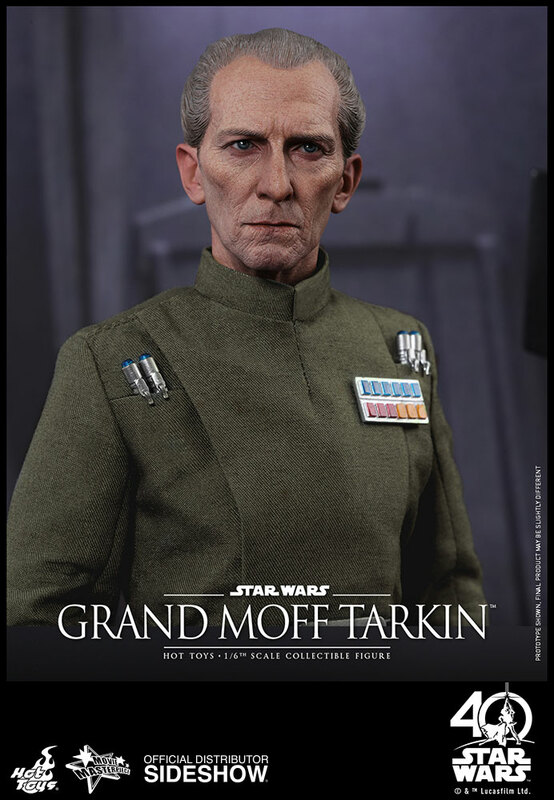 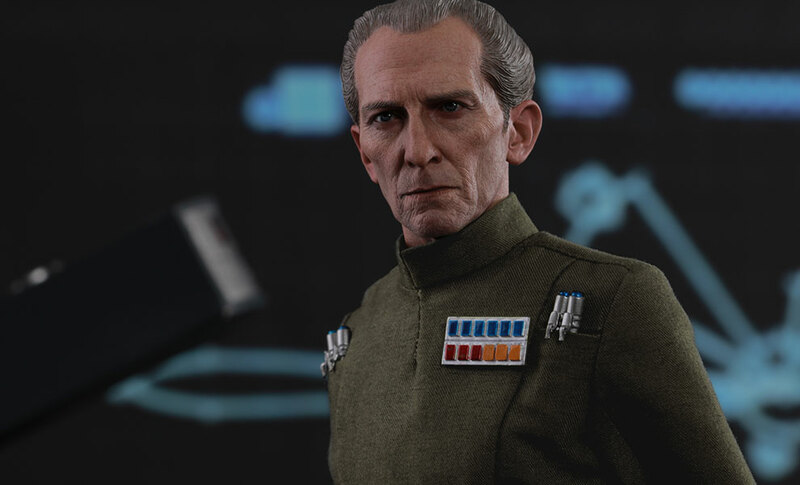 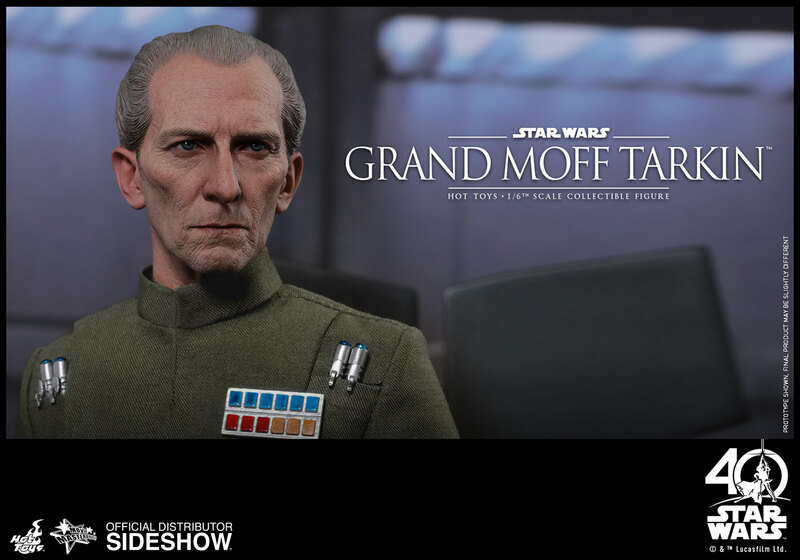 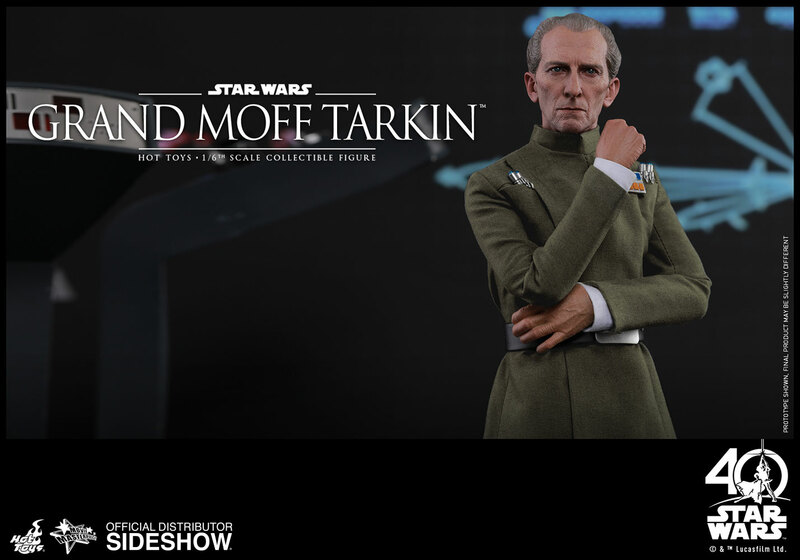 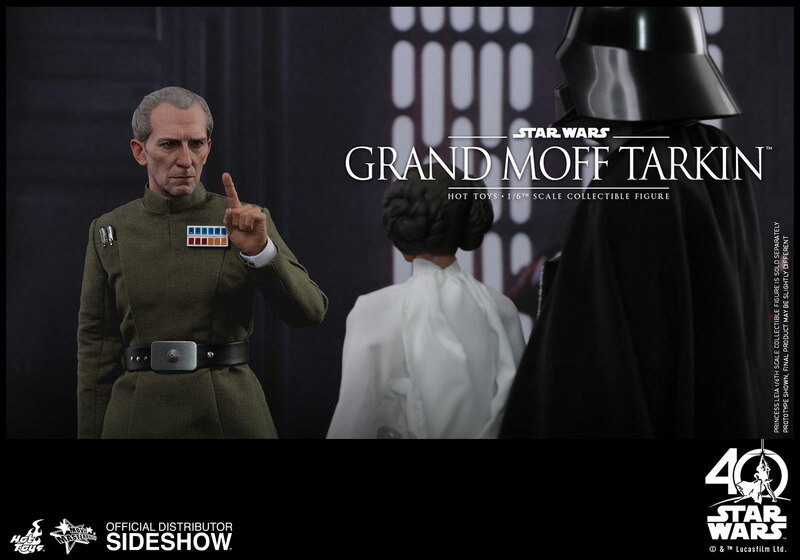 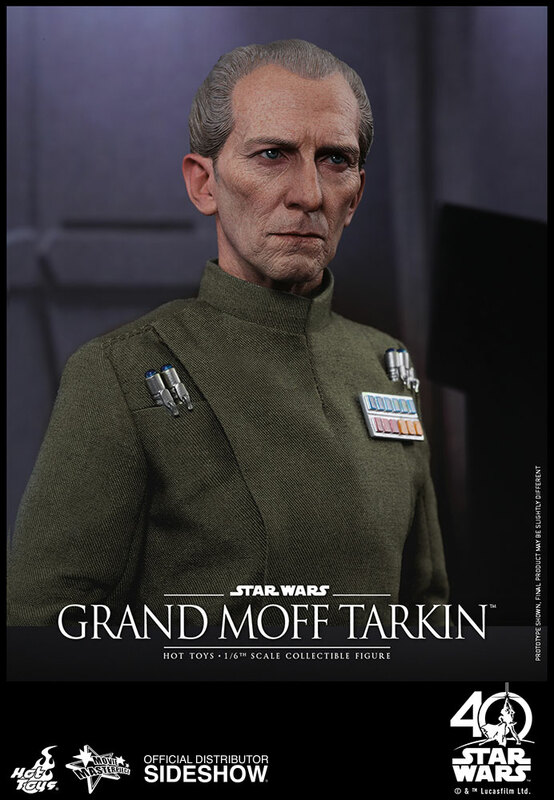 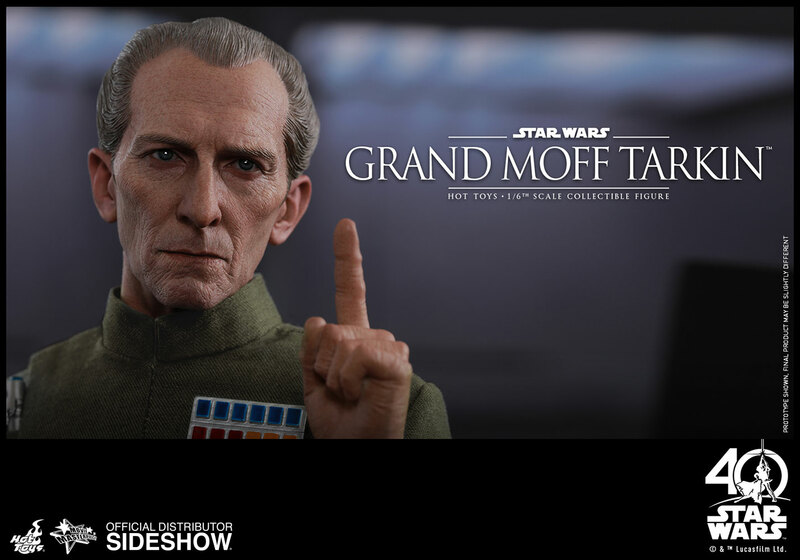 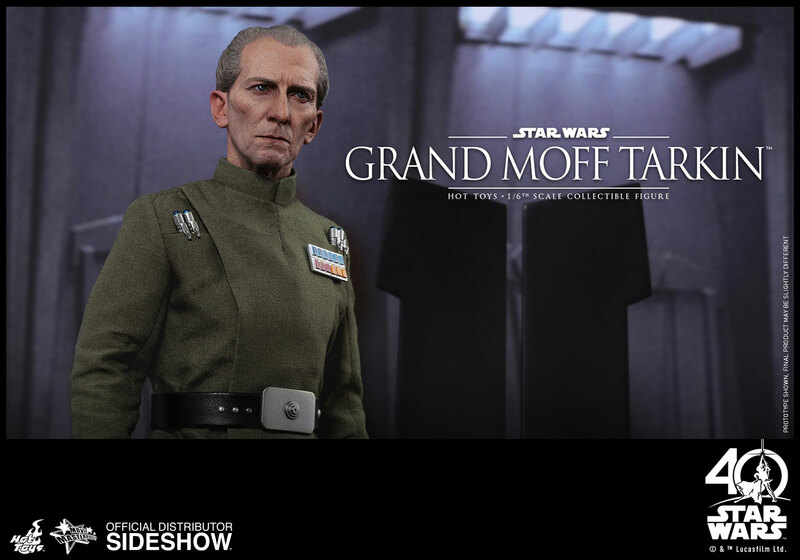 Sideshow and Hot Toys are very excited to officially present the highly anticipated sixth scale Star Wars collectible figure of Grand Moff Tarkin from Star Wars: A New Hope! 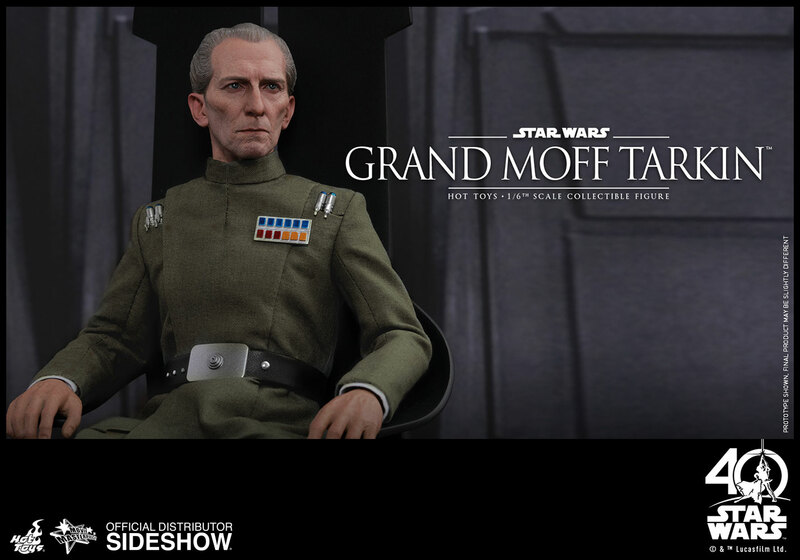 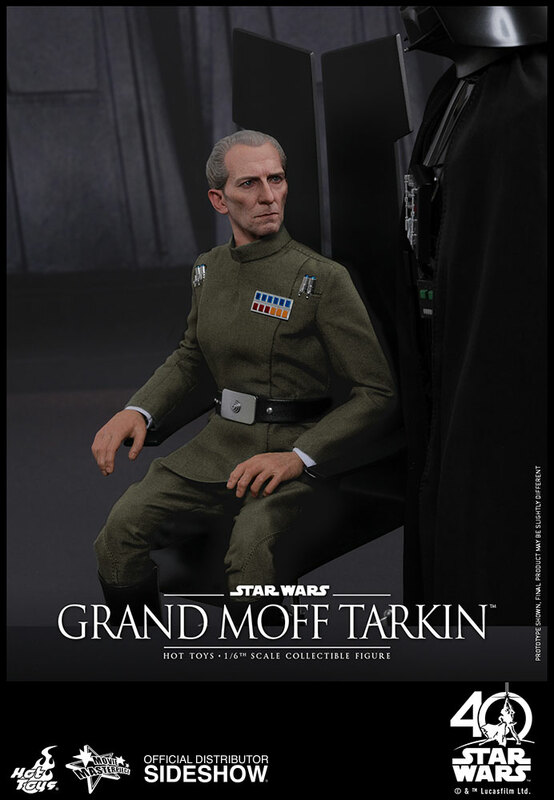 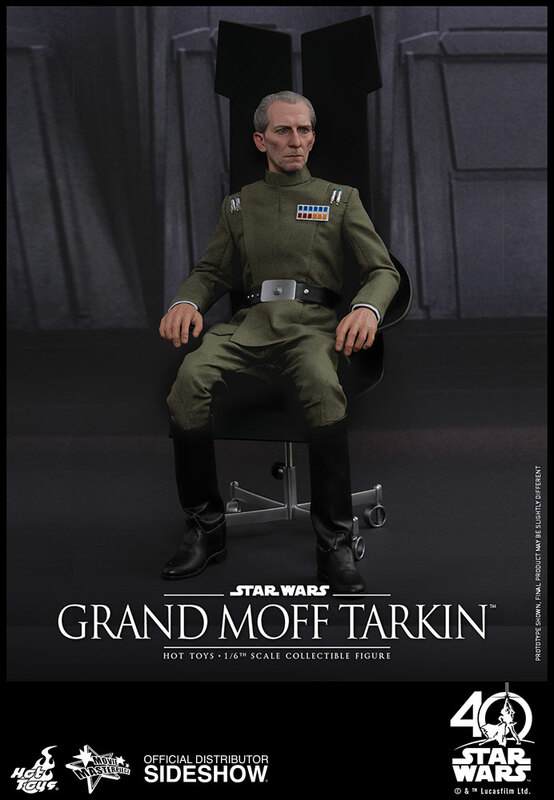 Meticulously crafted based on the appearance of Grand Moff Tarkin in Star Wars: A New Hope, the figure features a newly developed head sculpt with a phenomenal likeness, a finely tailored Imperial uniform, Grand Moff Tarkin’s high back chair, and a specially designed figure base. 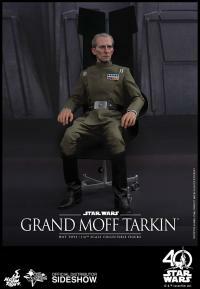 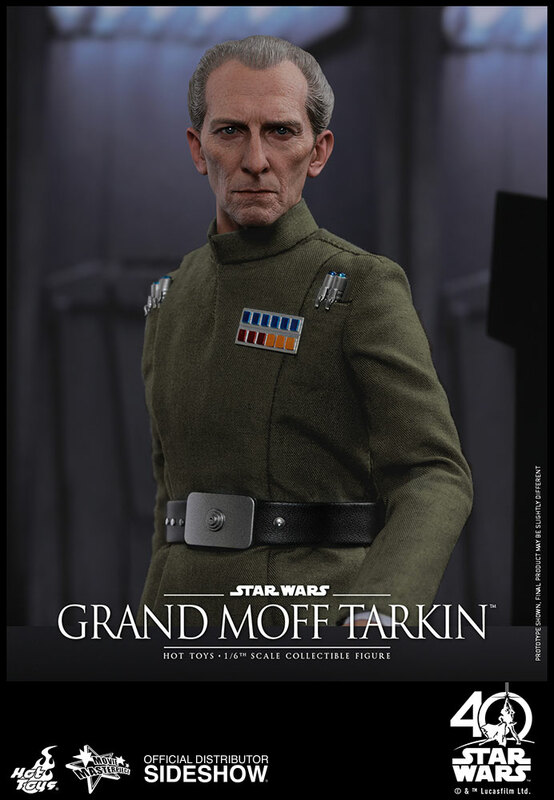 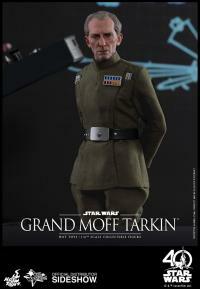 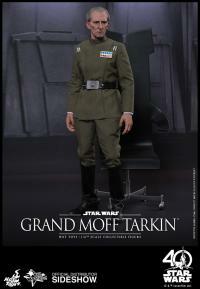 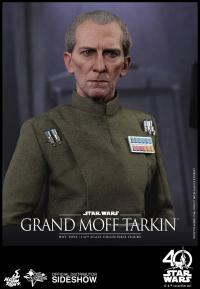 The Grand Moff Tarkin collectible figure will surely be an excellent addition to “fire” up your Star Wars collection! 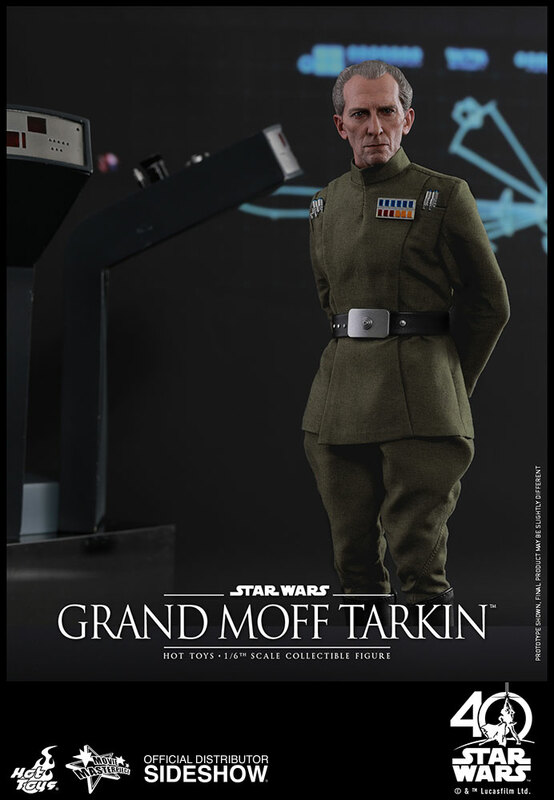 The figure really captures Peter Cushings visage to a tee. 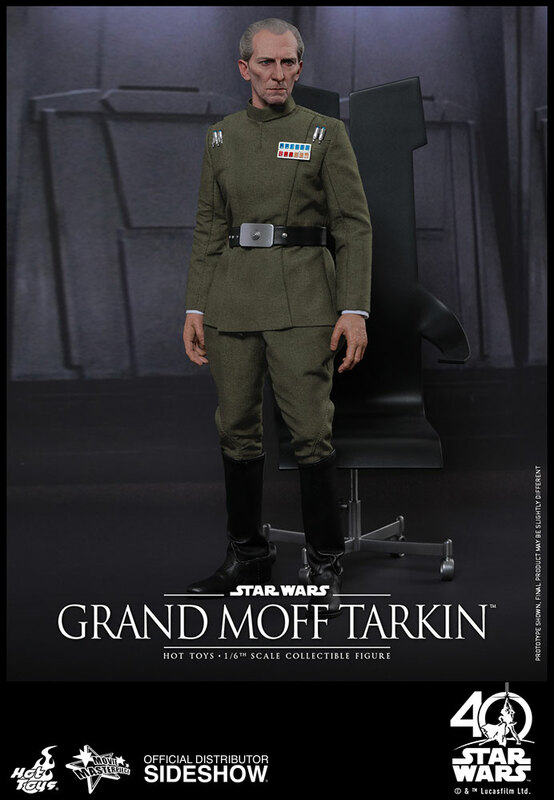 I may have added a little more grey to his hair but besides that I love his likeness, uniform, and the great chair. 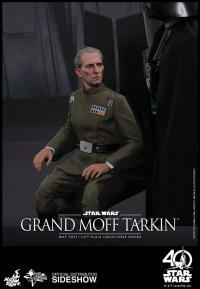 The Artizens at Hot Toys are really at the top of the industry.